celebrating acupuncture service to Boulder, Louisville, Superior, Longmont, Lafayette & Surrounding Areas! We have one mission: "To help as many people as we can to get healthy without the use of unnecessary drugs and surgeries by using the "Time-Proven Medicine" of acupuncture and Traditional Chinese Medicine!" We can help you with a safe natural approaches like acupuncture, a medicine that more than 8 million Americans have used. If you suffer from pain, fibromyalgia, digestive problems, depression, anxiety, insomnia, hormone problems, and want to live a healthier and more productive life give us a try. Take advantage of our offer below and see why local acupuncturists and other medical providers seek Dr. Jack out for their own health care. You are visiting our site because your health is not what you want it to be. You are in pain, sick, or something else is not right. Why not change your health and try to permanently heal your illness or Injury? We specialize in chronic conditions!. To take advantage of this just call our office at (303) 499-1633 or fill out our FREE EVALUATION form and download the coupon. 5353 Manhattan cir. #104 in South Boulder. You can reach us by phone at (303) 499-1633. You can also email us by clicking on the contact us button, or clicking on our email address at the bottom of the page. Using Acupuncture, Chinese herbal medicine, tuina - Chinese medical massage, and qigong are centuries old methods of treating disease and optimizing health. Our clinic uses all of these methods in our partnership with you to get you to permanently change your health. We serve the Boulder, Louisville, Denver, Lafayette, Broomfield, Superior, Arvada, Longmont, and Erie areas, including zip codes 80304, 80303, 80027, 80026, 80303. Acupuncture in Boulder with Dr. Jack Schaefer DACM, LAc providing alternative medicine and Traditional Chinese Medicine to the Boulder, Louisville, Superior Colorado areas. Here is what people are saying! 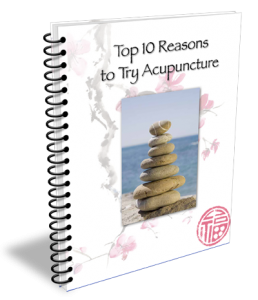 Subscribe below and get the Free e-book Top 10 Reasons to Try Acupuncture. I promise to use it only to send you Mountain West Wellness Health Tips.